High-end smartphones could soon have 4GB of super-fast RAM, resulting in better multi-tasking and the ability to continuously shoot images with 20-megapixel cameras. The improvements will be possible thanks to Samsung Electronics’ 8 Gigabit LPDDR4 (low power, double data rate) mobile DRAM. The smartphones will also get better UHD (ultra-high definition) video recording and playback capabilities, thanks to the chip’s ability to move data at rates of up to 3.2Gbps, Samsung said on Tuesday. 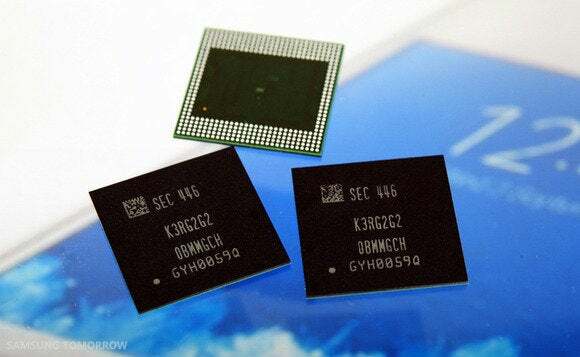 The improvements aren’t just about increasing speed: low operating voltages and faster processing will also result in power savings, according to Samsung, which bundles the chips up into packages containing 2GB, 3GB or 4GB of RAM for smartphone and tablet manufacturers. Exactly what the manufacturers will choose remains to be seen, but anything below 3GB on a high-end Android-based device that’s launched during the first half of next year would be very surprising. 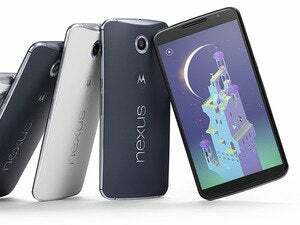 Recent products such as the Google Nexus 6, Sony Xperia Z3 and Samsung Galaxy Note 4 have 3GB of RAM, and successors to the HTC One M8 and Galaxy S5 should follow in their footsteps. When smartphones with 4GB of RAM will arrive is less certain, but the first products should start arriving towards the end of next year. These developments should trickle down to lower-end models, and result in cheaper smartphones and tablets getting more memory as well. Samsung started shipping the 2GB and 3GB packages this month, and will provide 4GB versions early next year. That means the company just managed to uphold its earlier promise to start mass production before the of the year. The memory type is compatible with Qualcomm’s octa-core Snapdragon 810 processor, which is expected to power many high-end smartphones launched in 2015. Faster processors and memory are only two of the things manufacturers are expected to improve on their future flagship smartphones. Next year, screens with a 2560 by 1440 pixel resolution are expected to become more common on high-end smartphones. Vendors are also thought to be working on camera improvements. 3D and array cameras will become a standard feature, market research company CCS Insight said in a recent report. The underlying technology will be delivered by companies such as Pelican Imaging. With such imaging capabilities, users will be able to change the focus of an image any way they like and create 3D models for printing from their images, for example.